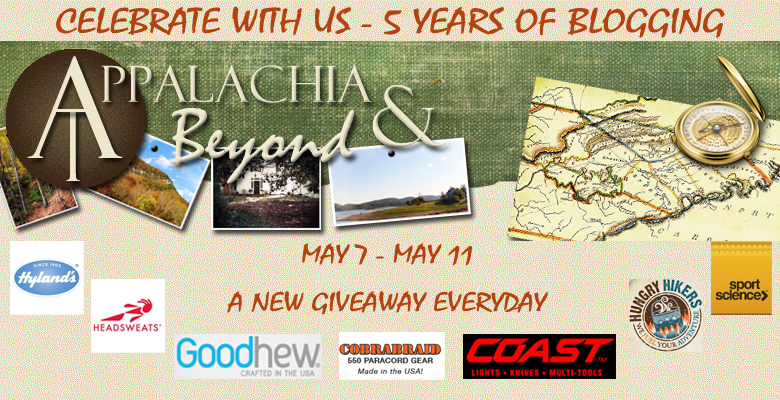 Happy 5 Year Blogiversary to Appalachia & Beyond. We hope everyone is just as excited about this as we are. We've been anxiously waiting for this day to get here. As you all know we have decided to have 5 full days of giveaways just to celebrate the occasion. Also, just to be clear, you have a full week to enter on each day's giveaway starting on the day of each giveaway (e.g. Monday's giveaway will stay open until Sunday, Tuesday's until Monday, etc.). A pair of women's Goodhew LumberJane socks. (These socks are part of the Fall '12 collection and therefore haven't even hit the shelves yet.) They are size M/L (8 - 10.5). Made of 33% Merino Wool, 33% Bamboo, 29% Stretch Nylon, and 5% Spandex, these socks feel wonderful (not that we've worn them or anything like that) and are sure to keep your feet dry and comfortable out on the trail. Hyland's Poison Ivy/Oak. This package contains 50 tablets of Hyland's all natural Poison Ivy/Oak relief. 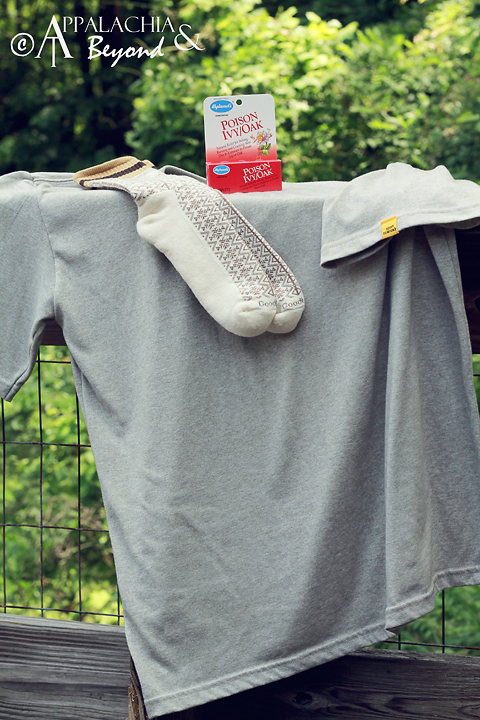 Relieves pain and itching due to exposure to Poison Ivy and Poison Oak. "The Way" movie poster. If you haven't seen "The Way" featuring Emilio Estevez and Martin Sheen we highly recommend it. So that's it. Now you have the know, it's time to start getting those entries in using the Rafflecopter widget below. Today's giveaway runs from today, Monday, May 7th 12:01am to Sunday, May 13th 11:59pm (all times EST). P.S. A special thanks to the sponsors for today's giveaway: Goodhew, SportScience, and Hylands.